Today I have author Susan Roebuck with me. Sue sprang to fame over a year ago with the publication of Perfect Score. 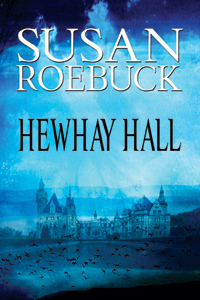 Now she’s joined the Etopia Press stable with her latest book, Hewhay Hall, which was published today. Steve: Welcome, Sue, and thank you for fitting me in to your busy schedule. I guess with a new book coming out you are worked off your feet? Sue: Hi Steve. Thank you so much for letting me visit you again. Yes, a book launch, as you know, is hard work, just trying to get the word out without being a pain in the you-know-what. Steve: Hewhay Hall is something quite different to Perfect Score, isn’t it? Can you first of all tell us what drove you to write a gay love story for your first novel? Not only did she reach the core of Sam’s character but she also identified the theme: “The weak are far stronger than is apparent”. And I think both these aspects show up in both my books. Steve: And you weren’t tempted to carry on in the same genre, then? Will Perfect Score be your first and last gay story? Sue: No. I never set out to be an m/m writer. I’m a bit of a chameleon and I think I might be able to write in all kinds of genres. I also read an awful lot of different genres so that probably helps. But I don’t say I’ll never write another m/m. I have a little niggle to write one set in Victorian London. So that might be a future book. Steve: So, Hewhay Hall. Tell us something about it. Sue: It’s all about the plight of the unsung hero. Those people behind the scenes who fight for what they believe to be right but never get any recognition for their brave acts. Until they die. And then they go to heaven. Right? Right. Except they don’t in “Hewhay Hall” because something is stopping them half-way along in their journey. Something evil. Something certain people call, The Prince of Envy. And the question is, can Jude Elliot, a below-the-knee amputee, release thousands of weakened and feeble – albeit feisty and courageous – inmates from Slater’s house of horrors? Slater being the Prince of Envy. Steve: Did you have it all in your head or did you have to research? Sue: I had to research the fireman’s part – finding out the main character’s routine, the firemen’s hierarchy, the procedure they have to go through when there’s a bomb explosion. That kind of thing. I hope I’ve researched enough to represent the service, but the rest comes from pure imagination (and nightmares). Steve: I love the cover. Who did that and how did it come about, you must have had some input? Sue: Etopia Press produce the most amazing covers. And they’re so ready to listen to the authors. I described exactly what I wanted and what I didn’t want. Then wonderful Annie Melton and artist, Amanda Kelsey, produced the most perfect cover I could have imagined. Steve: I know I’m dying to read Hewhay Hall (I’ve already bought it) but maybe my followers need convincing. They are hardened horror fans, so what can you say to persuade them? Sue: This is maniacal demonic possession at its most cruel because the victims are fully aware of what’s going on. The Prince of Envy delights in torturing courageous souls because they suffer more keenly and their fear is so much tastier than mere ordinary mortals’. He (or she because it’s sometimes difficult to know) reels them in using their sexual fantasies (yes, even unsung heroes have them) as bait for eternity. Steve: I know you are a very caring person. Are there any messages or themes in the story? Sue: Thank you! I hope I am – caring, that is. The themes in my books do seem to run along the same old lines: stand by what you believe to be right and don’t let the “Big Boys” get you. Because they will if they can. In Perfect Score, it was the giant pharmaceutical company; in Hewhay Hall it’s a powerful demon straight out of hell; and in my next novel, it’ll be the greed of the super-powers. And greed makes people cruel. Steve: So, after two quite different books, what’s next in the pipeline? Sue: It’s called (at the moment), When the Moon Fails and it’s about fishermen. One is a feisty girl from Norfolk UK; another is a hunky but traumatised crab fisherman from Alaska USA. They converge on Portugal for their own reasons. It’s not a romance because they never meet up (I haven’t finished the novel yet, so jury’s still out on that aspect). Although they don’t realize they’re doing it together, they fight for the rights of the population of a unique Portuguese fishing village that is in danger of being used as a “cover” for a rather nasty joint US/UK project. Steve: Can we have a little excerpt from Hewhay Hall? And please tell us where we can buy it. Steve: Thanks again, Sue. And good luck. Before you go, just remind everyone where they can find you. So delighted to see this published. *hugs*. Lovely interview Steve and lovely answers, Sue..
Sue is a genuine treasure. On that I can’t compete; I’m a grumpy old scrote. Pfft. I doubt that. Sue speaks very highly of you. Thank you Steve! You’re not grumpy, you’re such a sweetie 🙂 Thanks for letting me “take up space” with you today. Great interview. I have been looking forward to ‘Hewhay Hall’ for months and now it’s here!